The Hillsborough County Sheriff's Office said the woman spent nearly $40,000 at Publix, Target and Winn-Dixie stores in three counties. 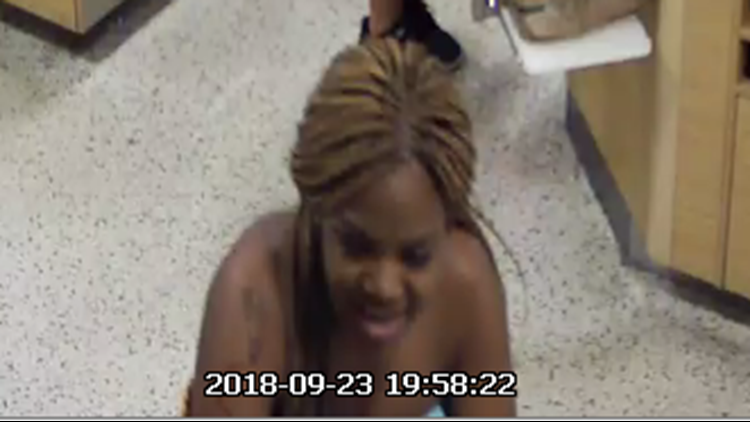 TAMPA, Fla. — The Hillsborough County Sheriff’s Office is asking for the public’s help identifying a woman accused of spending tens of thousands of dollars using a fraudulent credit card. The woman, who the sheriff's office said is pregnant, is accused of stealing a victim’s identity to open an account at First Tech Federal Credit Union with a $40,000 credit line. The sheriff’s office said she then made purchases worth up to $40,000 at Publix, Target and Winn-Dixie stores throughout Hillsborough, Pasco and Polk counties from Sept. 4, 2018, through Oct. 1, 2018. Surveillance video shows the woman wearing a blue dress with yellow flowers. Anyone with information is asked to call the sheriff’s office at (813)247-8200. Tipsters are also eligible for a cash reward by calling 1(800)873-8477 or by visiting the Crime Stoppers website.